Forgiveness can take a lifetime. On a sharp winter’s morning, a man turns his back on prison. Joseph Scott has lost almost everything: his career, his wife, the future he’d envisaged. All he has left are his three children but he’s not allowed anywhere near them. 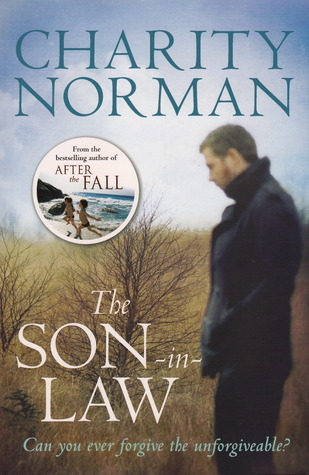 With this portrait of a man who will do almost anything to be reunited with his children, Charity Norman cements her reputation as an astute and compassionate chronicler of family life and reminds us that no relationship is ever as straightforward as it may appear from the outside. When Joseph Scott is released from prison the only thing on his mind is seeing his three children again. The children that he last saw over three years ago when he was arrested for his wife’s murder. The wife that he killed in front of his three children. The introduction to the story is a transcript of the telephone call between 10 year old Scarlett and the emergency services operator who is giving Scarlett CPR instructions to pass on to her father Joseph. It is clear that Joseph’s wife Zoe is dead and that Joseph is responsible. Following Zoe’s death, Hannah and Frederick Wilde, Zoe’s parents, have looked after the 3 children. Ben, the youngest was just a baby when his mother died and Hannah is the only mother he has known. Hannah’s feelings of hatred for Joseph and for what he has taken away from them – and from the children, run deep and we are left in no doubt that she is determined that Joseph will never have access to his children. As far as she is concerned he has torn the family apart and does not deserve to have anyone’s love. Charity Norman has created a thought provoking story with a moral dilemma. Should Joseph continue to be punished for his heinous crime by being refused access to his children, or should forgiveness play a part. It is only as the story unfolds that we learn more about Zoe and Joseph’s marriage and the events that led up to that fateful day. We also discover more about Zoe’s character – she was a troubled soul and had her own issues and demons to contend with. Hannah and Frederick had their own secrets that they did not share with Joseph – could they have done things differently? The only thing that is clear is that other people’s lives are never as straightforward as they may at first appear. The story is told from the perspectives of Hannah, Scarlett (now a teenager) and Joseph. Having these narrations certainly adds an extra element to the story. We are able to see first-hand the depth of feeling and the fears, confusion and conflicts of the characters. The safe and loving environment that Hannah and Fredrick have created for the children is under threat and Joseph’s actions in trying to get his children back takes its toll on everyone, including his children. This was a compelling and emotional read and a book that I couldn’t put down. Each chapter has been cleverly ended in such a way that it keeps the reader in suspense. The characterizations were excellent and so believable as was the dialogue. There were times when I actively disliked certain characters and others when I felt nothing but sympathy for them. The highest priority should have been the children and what was best for them however there were times when their needs and feelings appeared to take second place in the battle between their grandparents and father. If you want a thought provoking read then I can highly recommend this book. If you enjoy books by Diane Chamberlain and Jodi Picoult’s moral dilemma/courtroom dramas then I’m sure that this book would greatly appeal. I have two other books by Charity Norman on my bookshelf to read and I am very much looking forward to them. My thanks to Newbooks magazine for the paperback copy to review. Anna and Laura, Sophie and Mandy – two mothers, two daughters and a story about the bond of motherly love. Anna is proud of the job she has done raising eighteen-year-old Sophie. It’s always been just the two of them, but that doesn’t matter because Sophie has everything she could ever need. It’s a miracle that Laura’s daughter Mandy is as happy as she is, considering that Laura remains haunted by the loss of her first child before Mandy was born. I haven’t read any of Sinéad’s books before so when Catherine of Penguin Ireland kindly asked me if I would like to review this, I jumped at the chance. This is the story of two mothers – Laura and Anna, and their daughters. One woman had suffered more than her share of tragedy and the other was a teenager lacking any sense of responsibility and seeing her baby as a burden rather than a joy. We then move forward 20 years or so and discover the devastating consequences of one woman’s actions. Much heartache and grief has been caused in the intervening years and now someone has to be held to account. I don’t want to give too much of the story away as it is one you need to discover for yourself but I was gripped by this book from the very start and by the end, felt as if I had been on an emotional rollercoaster. The characters are so well developed and although they are not all likeable, they all have a strong voice. I didn’t want to like either Laura or Anna, but I couldn’t help but feel sympathy for them when the secrets of the past finally came to light. Laura and Anna apart, there are many wonderful characters here, including Sophie, whose life is suddenly torn apart. Her friend Holly, a typical teen but loyal to the end and then there is Lexie. On reflection, Lexie was my favourite character – she may have been cast as the stereotypical WAG but she had a heart of gold and became a true friend. Mandy was a typical moody angst ridden teenager and although I really disliked her at times, I did feel a bit sorry for her at the way her life had suddenly changed. Sinéad has dealt expertly with this emotional and controversial subject; there is humour as well as heartbreak and there are times when the desire to shake a character and bring them to their senses is just overwhelming. This story will draw you in and won’t let go until the very last page. My thanks to Penguin Ireland for the copy to review. This was my first Rowan Coleman book but certainly won’t be my last. I’m not sure why but I had always perceived her books to be light and fluffy however this book couldn’t be further from that. It’s well written fiction which deals with some deeper issues such as abandonment and domestic abuse. 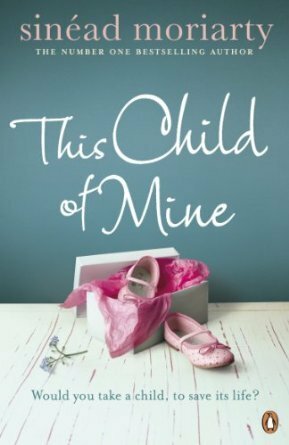 The book begins when Rose and her young daughter Maddie turn up in the middle of a rainy night at a B&B in the wilds of Cumbria. They are not made particularly welcome by the landlady, Jenny, however her husband takes pity on them and allows them to stay. Little by little we learn of the events that led them to Millthwaite and why Rose has chosen that particular place to escape to. Fate, love and forgiveness play a huge part in this book. It’s an emotional read at times but it’s also uplifting and there are two lessons to be learnt – one, that you should never give up on your dreams and secondly that there are times when people do deserve a second chance. There is a well written and believable cast of characters. The main one being Rose. When we first meet her, she is a shell of her real self. She is the product of a dysfunctional family and having spent many years having her spirit crushed has no self-worth. Will she find the strength she needs to protect herself and her daughter? Maddie was an absolute delight to get to know. She is an unusual child, only 7 years old but old beyond her years. She has no social graces and because of her direct manner finds herself friendless most of the time. At first I thought she was on the autistic spectrum but as the book unfolds, we understand more of the reason for her behaviour. Maddie was my favourite character and I thought she was adorable in spite of her unusual ways. 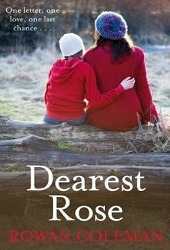 Some other characters who play a big part in Rose’s new life include her best friend Shona, who has her own troubled life to cope with but nevertheless brings humour to the story, the B&B landlady Jenny, whose bark seems to be worse than her bite and Jenny’s son Ted, a flirty young barman with an eye for the ladies who figures in much of the story. My only one very slight disappointment with the book was towards the end when I found the storyline somewhat rushed and to my mind, partly unexplained, but having said that it was a fabulous read and one that I would definitely recommend. I look forward to reading more by this author. I hadn’t read any of Kate Morton’s books before but I do love dual time frame stories and so I was looking forward to this one. I was captivated from the very start. The story began in 1961 with Laurel and her family living at Greenacres, the family home in the country and went back in time to the younger lives of Dorothy, Vivien and Jimmy during the blitz, and with both time frames there was just a wonderful sense of place and atmosphere. Laurel’s investigations into her mother, Dorothy’s life, are very cleverly woven into the earlier part of the story which takes place from 1941 and through the years of WW2. Dorothy is a complicated character, whilst there is a naivety about her, she can be very manipulative and sometimes deceitful. Jimmy meets Dorothy when they are both living in Coventry, before the war and their ensuing romance is very well written following their move to London where Jimmy ultimately becomes a war photographer. Vivien becomes a neighbour of Dorothy’s in London and as the story unfolds their lives are bound together with tragic consequences. Laurel’s research into that dreadful event of 1961 when she was 16 leads her to Oxford and to London and I was keen to find out her discoveries with her and felt her frustration when she came to what seemed to be a dead end. The help of her younger brother Gerry, who is a bit of a science boffin and who lived in his own world most of the time was invaluable and I loved the interaction between them. Laurel’s sisters, Rose, Iris and Daphne were mostly peripheral to the story but you did get a real sense of family when they were all together. There was a fabulous twist at the end which I didn’t see coming and which makes everything fall into place. I wanted to go back and re-read parts but on a Kindle this is not very practical. 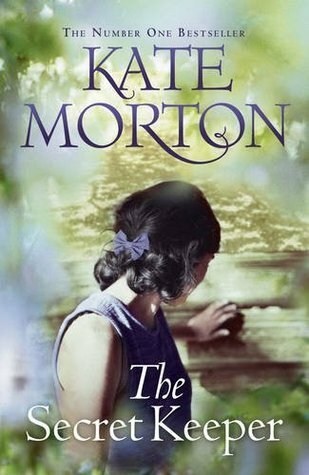 At 600 pages long, this is a certainly a lot of book but I enjoyed every page and look forward to reading Kate Morton’s back catalogue from my bookshelf. Imagine being happily married for 28 years. You have three children, a lovely house and a husband who travels a lot – but even after all this time, you still love each other. Then one day you get a call that turns your world upside down: your husband is dead. You are devastated. You go to the funeral… And come face to face with his other widow. Another wife, another family. It can’t be true. It must be a mistake.It has to be her fault – all of it. Or: is it? 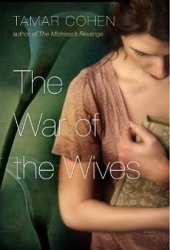 This was my first book by Tamar Cohen and I very much enjoyed it. I loved the style of writing -it’s sharp, perceptive and witty and the characters were just so real. I was hooked from the very start and it was a book that I couldn’t put down. Selina has been married to Simon for 28 years, they have 3 children and an expensive lifestyle with money seemingly in abundance. Lottie has been married to Simon for 17 years, they have one child, they live in a small flat, are struggling for money but appear to be happy. However, when Simon is found dead, in suspicious circumstances, the worlds of the two families collide and they are left to deal with the consequences. To find out that you’ve been deceived by your husband for nearly the whole of your married life – after having his children, supporting his career and building a life together can only be devastating. We experience every emotion of both Selina and Lottie and that of their children, including denial and anger. There is also an element of danger running through the story, Simon appeared to have some shady business partners who are seeking recompense and the two families are in the firing line. The story is narrated in turn by each wife so you get to see both views. All the characters are so well written, you can’t help but feel involved in their lives. Of the two wives, I preferred the character of Selina. Although she appears to be a high maintenance wife and has a sometimes unpleasant superior attitude, she shows herself to be more of a coper whereas Lottie comes across as being rather scatterbrained and helpless who retreats rather than face up to life. I wasn’t sure about the epilogue – this was a little contrived for me but this doesn’t detract from my overall enjoyment of the book and I’m looking forward to reading The Mistress’s Revenge which is also on my bookshelf.